Get ready for 40+ years of combined experience on career advice, mixing, and health on tour. Karrie Keyes and Michelle Sabolchick Pettinato are two incredibly generous and experienced women, and they’re opening up their lives for your benefit. 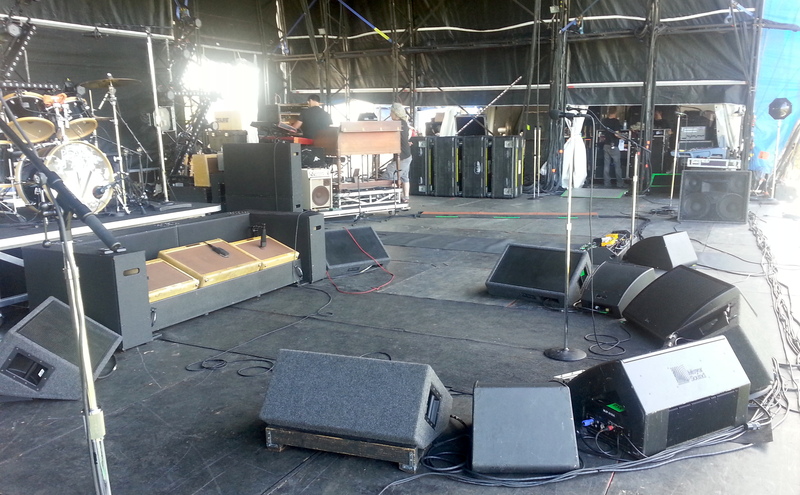 Keyes is the monitor engineer for Pearl Jam. 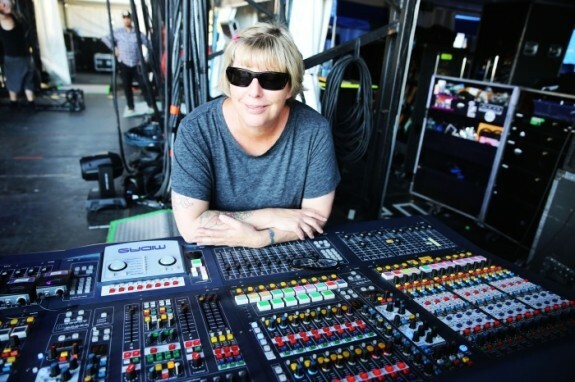 Pettinato has been FOH engineer for some huge pop tours such as Thievery Corporation, Joan Osborne, Gwen Stefani, Jewel, and Ke$ha. 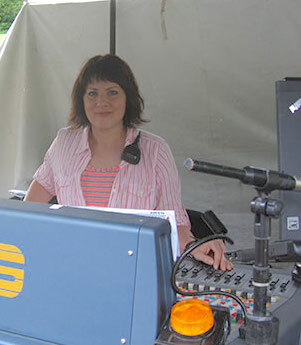 Together, they created Soundgirls.org, which provides community and support to women working in professional audio. Compared to many other online forums I was surprised by how often meaningful conversations on career building take place, which is mostly absent from every other pro audio forum I’ve visited. Another unique feature their forum offers is the ability to connect with a mentor. The site is free, you should join now. Pettinato: I interned at a local sound company, working basically for free. I worked in the shop during the week and did shows with local bands on weekends. Keyes: I worked doing load outs and then eventually full time for Rat Sound. Looking back, what are some of the best choices you made in your career that helped your long term success? Pettinato: Never taking a gig doing monitors!(Laughs.) Once I started mixing FOH, that’s all I’ve ever done. For years I would get calls to do monitors on this tour or that. Not that I couldn’t do it, I just knew that if I ever did, and was any good at it, I would never get back to the other end of the snake. There always seemed to be a lot more work available for monitor engineers, but focusing on FOH instead of trying to bounce back and forth has made me better at my job as a FOH engineer. Keyes: Deciding to do it full time — quitting my job, moving into a warehouse without hot water so I could live and breathe sound. Doing whatever needed to be done. Saying Yes to gigs, even if they scared me to death. Our business is built on personal referral. What have you done to make that work for you? Pettinato: I’ve made it a point to keep current with my contacts and make sure they know what I’ve been doing and when I am available. Keyes: By being a team player and doing the best job you could at any given time. Not bitching about the gig, and always treating each gig like it mattered. Learning the difference between ego and confidence. It can be difficult to find your best fit in pro audio because every job is different and you might need a year or more of experience before you really have a feel for it. Most audio people I talk to say that they just fell into it and went from job to job until they found one that stuck. Is there a shortcut to finding your best fit instead of trying every job in the industry until you find the right one? Pettinato: There are so many options out there, from live, to recording, post, sound design, broadcast, sound for video games, etc…. If you’re not sure where you want to go, try talking to some people who do what you think you want to do. Find out what a day in the life of their job is like. Read about it and see if you can imagine yourself doing that job day in and day out. A little research into what the job is truly like may save you from having to switch gears somewhere down the road. However if you find your chosen path isn’t quite what you expected, many of your skills and knowledge will transfer to another area of the industry so don’t be afraid to try a new path. Keyes: I think it might be different for everyone, but sometimes you have to narrow things down with some common sense – If you get bored easily then studio work might not be the best fit. If you are overly sensitive then monitors might not be where you want to sit. I would suggest researching the different aspects, you might find one that sounds interesting and then start working towards that goal. But again – you might think you want to tour – until you get out on one – and find you do not travel well. What guidance do you give to people about finding a mentor? Should you offer to assist for free for a day or a week? Or just shadow for an hour? How do you like to be approached about this personally? Pettinato: It depends on the situation. First you’ve got to figure out what you’re looking to get out of it. Are you looking for work experience or just some advice? Next find someone willing to mentor you and what they can offer. Touring does not lend itself well to mentoring or interning. There is too much liability and expense (hotel rooms, travel, etc…) involved in bringing someone on tour as an intern, but it’s easy enough for someone to make a day visit to see the production and what goes into a show when time permits. 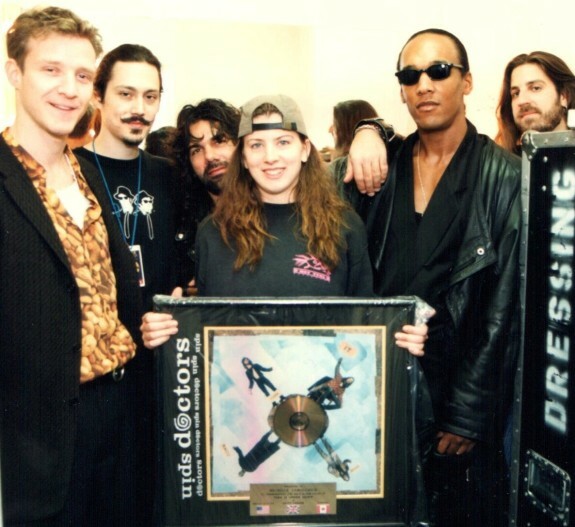 I know Karrie mentioned SoundGirls.Org’s mentor group, which is a good place to start. Keyes: I think that is different for everyone. There really is not a lot of time on the road to have someone come along and for insurance reasons it is probably going to be hard to get an internship. We have a group on SoundGirls.Org called mentors where people can volunteer to be a mentor or look for one. I think the key is taking any opportunity that presents itself – whether it is to spend a day with an engineer or volunteer for a community event. One of the most common questions I get is how someone can get back into mixing more music who is currently working in other areas of the industry. It seems like a waste of time for these people who already have solid skills and years of experience to start over at the bottom mixing little shows in bars hoping that someone will offer them a gig. Could they be building relationships in other ways that would help speed up this process and find their own clients? Pettinato: This business operates on word of mouth and who you know. If a band doesn’t already have a FOH and Monitor engineer the first thing management does is pull from their stable of engineers they’ve used and know, or they turn to their Production Manager and/or Tour Manager to hire them. If none of their usual suspects are available they reach out to engineers who are highly recommended by someone they trust. No one wants to take a chance on someone who is unknown so you have to find a way to prove yourself. You need to put yourself in a place where there will be an opportunity to mix. Whether that’s a club or venue on the touring circuit, or with a major touring sound company. If you are not an established live engineer you are not going to walk into a mixing gig with a well known artist, nor with a sound company. You’ll have to start out as a stage or PA tech but there may be opportunities to mix if you show initiative. Many times support acts on large tours will show up needing someone to mix. Keyes: The reality is you are not always going to get to mix – I know plenty of engineers that go back and forth from system teching to mixing. I think it is important to be able to system tech in addition to mixing. You do have to start at the bottom – maybe not loading trucks – but as a system tech. You might have solid recording experience, but live is a different beast. The reverse also applies: I am not going to pretend I could walk into a recording studio. You need to have years of live mixing experience to get the Beyoncé gig and mixing all those bar bands helps. And sometimes you just need to be in the right place at the right time. So if your ideal spot is live sound, you want to be working a gig. Most management and production teams have their own groups of people they use and trust. The best way to network is by working gigs with them and proving yourself, or being recommended. Do you have any problem with men joining SoundGirls and participating in forums? Pettinato: No. We’ve actually have a lot of support from men in the industry. Keyes: Not at all. We welcome it, but it needs to be with respect to the women engineers and first and foremost a safe place for the women in the industry to come. In reference to Touring Life and Motherhood or How You Can’t Have it All: I’ve been told by a lot of people that you can’t have a family and be a sound engineer. Recently Darryn De La Soul told me that all of the sound engineers she knows with kids have partners that do not work. This is one of the big reasons why I started my program Success in Sound, because I believe that audio professionals should be able to be successful in their careers and have the lifestyle they want. Karrie, after you had twins, you thought you would drop touring completely, but you kept working and found some balance. Could you help me dispel this myth that sound engineers can’t have a great family life? Keyes: You have to do what is right for you first. If you are not happy then you are not going to be a good parent. On the other hand, I was not going to put my kids in boarding school and tour for 10 months of each year, and I was not going to raise them on the road, either. It is not going to be easy, but what is? It is a different schedule and needs different planning – but just because it is not a constant, doesn’t mean it can’t work. Sometimes it takes looking at it in a different light –- I guess because working around music seems like a selfish pursuit –- when the reality is that there are jobs that send parents away for months at a time, sometimes for over a year. Or parents that work 16 hour days everyday of the week. For me it was finding a balance. I think as societal norms continue to change we will see more women in the industry as they don’t feel the need and pressure of getting married or having children and as men find that they can be stay at home dads or fill the role of the primary parent who picks the kids up from school and gets them to sports practice without feeling that that makes them a failure. As I said in my piece, it is about finding a balance that works for your family. For me it was Pearl Jam and touring less. It gave me the ability to parent my kids and also work in my chosen field, for others it might be working the local theatre. We all have to make sacrifices – who says the guys that are on the road all year are not making sacrifices for their families? It’s just a societal norm and no one says they are absentee fathers. Why would you ever double up stage monitors? For example, in your epic post about the Lighting Bolt fall tour 2013 you end up with 9 stage monitors around Eddie Vedder and 6 of them are playing vocals. What’s the strategy there? If it’s for more SPL, why not get a bigger box? If you have the same source coming out of multiple boxes, won’t there be phase issues? Keyes: It is 8 wedges – with six being used to reinforce his vocal at the level he desires. It is for SPL and coverage – you can’t really achieve overall loud coverage with two wedges. It is not simply about a larger box – a larger box could have less components in it and simply be bigger. Bigger is no the answer. If it were, we could just build a PA around him. The main wedges are the side wedges and where they are placed allow for the greatest rejection of feedback in relation to where he stands and the microphone placement. So these are able to get loud with minimum EQ. The front wedges are used for warmth and the rears help fill in volume – the flown side fills keep it all focused to where he is standing. What is the goal of sidefill monitors? Do they cover a specific part of the stage that other monitors don’t cover? Keyes: In the configuration we are using them, it is for the singer, whether or not they are actually solving an issue. Then the goal was to make sure they only covered in the middle of the stage and did not hit the other musicians who did not desire louder vocals onstage. What are some of the best methods you’ve found for reducing stage volume? Working on small stages can be especially difficult when you have loud guitar amps and drums right behind singers and acoustic guitars. Pettinato: Stage volume is a difficult battle. If the artist isn’t willing to work with you (or each other) then you can’t win the war. Whenever you can get the amps off stage or at least aimed away from the mix position, it helps. Vocal Mic choice becomes more about gain before feedback AND isolation so you can get the vocal above the backline. 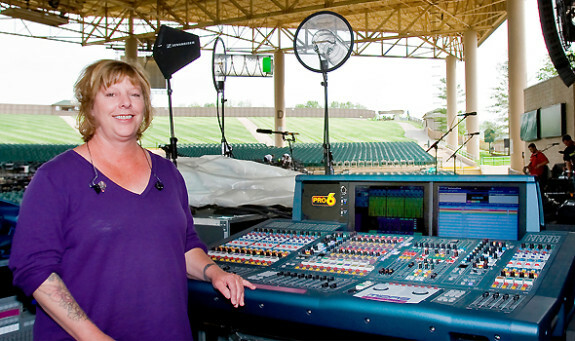 Mixing FOH becomes more about reinforcing what isn’t amplified on stage as opposed to mixing and having everything in the PA.
Keyes: Well, this is always a battle, and it really is up to the band or artists to address this. Some will be willing to work it out and some won’t. For us it has been a gradual thing over the years. The baffles we are currently using have been one of the best things we have ever implemented. Do you carry any kind of sound system measurement hardware/software? What is your procedure for testing the system and verifying that everything is working properly? Pettinato: I’m pretty old school being that the only tools I use are my ears. If I am carrying production, my system tech will noise the system to do a component check. When that’s done I have a CD with various songs that I use to ring out the PA. I walk as much of the room as I can, listening to how the system reacts with the room acoustics. Keyes: Mine is rather simple. After we have prepped the system in the shop and tested everything before it leaves to determine if it is working properly and in phase, I pink each mix everyday, turning on and off the highs and lows and EQs. Then I ring it out with my voice. I travel with a rig all the time, but the process would be similar if I had a one-off rig. How do you protect your ears? Do you ever mix with IEMs or earplugs? Do you visit the audiologist regularly? Pettinato: When I’m not mixing and I’m at FOH or in the audience, I wear earplugs. I have mixed with musician’s earplugs on occasion, most recently when I was mixing a boy/pop band a few years ago. The audience was mainly young girls ages 6-26 who screamed non-stop. The screaming at some of the shows reached levels of 118dB. I would pull them out for a few minutes every couple songs to make sure I wasn’t over compensating but I don’t like having to mix with earplugs. I had my hearing checked in 2012 for the first time in probably 15 years and was happily surprised to find out I had barely any change. 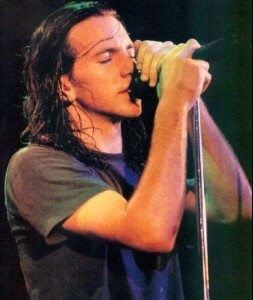 Keyes: Pearl Jam uses both IEMS and wedges, so yes, I use both. I never mix with ear plugs. I wear ear plugs if I am attending a show or watching the support band. What are some good health practices that you’ve developed? How do you maintain your energy levels during long days in difficult conditions? Pettinato: I try to work out on every day off and get a good night’s sleep whenever possible. Eating healthy can be incredibly difficult depending on the tour and my level of will power, but I try to eat to lots of veggies and protein and coffee, coffee, coffee. Keyes: Get as much sleep as you can and eat well. Don’t stay up late drinking. What is your feeling about loading and pushing heavy gear and boxes? Do you tell crew or managers that there are certain things you won’t do? It can be a terrible feeling to be totally drained after loading in before the sound check has even started. A lot of people tell me that they want to get away from this, but I’ve found that it’s always a part of the job. Pettinato: I actually enjoy the physical part of it but it can be exhausting at times. You need to know your limits and know when to stop trying to do everything yourself. The stage hands are there for a reason, use them. If you injure yourself by trying to do too much, that’s a problem for the tour. No one expects you to do the impossible but you are expected to do your job. How you do it is up to you. Moving gear is part of the gig but no one says you have to do it all by yourself. Keyes: I have never felt limited – you have to know how to move the gear. Most people do not expect you to lift heavy things without help, no matter what gender you are. No one wants broken road crew. I never felt drained after a load in; if anything it gave me more energy because it was a workout. I use to load in and set up a Sound System with one other person all the time. The PA did not have castors, either, so everything was loaded with hand trucks up the truck ramp. I don’t buy that it is too heavy. My tech is a skinny and wiry fellow. I know several women and men that are stronger than he is. Some do have physical ailments that severely limit their participation in load in/out, so that is going to be hard. I find men and women use the physical lifting of gear as a reason they cannot succeed.